Be sure to tune in to TechVibe Radio this Saturday, June 29 at noon, as well as July 6 at the same time on FM News Talk 104.7! 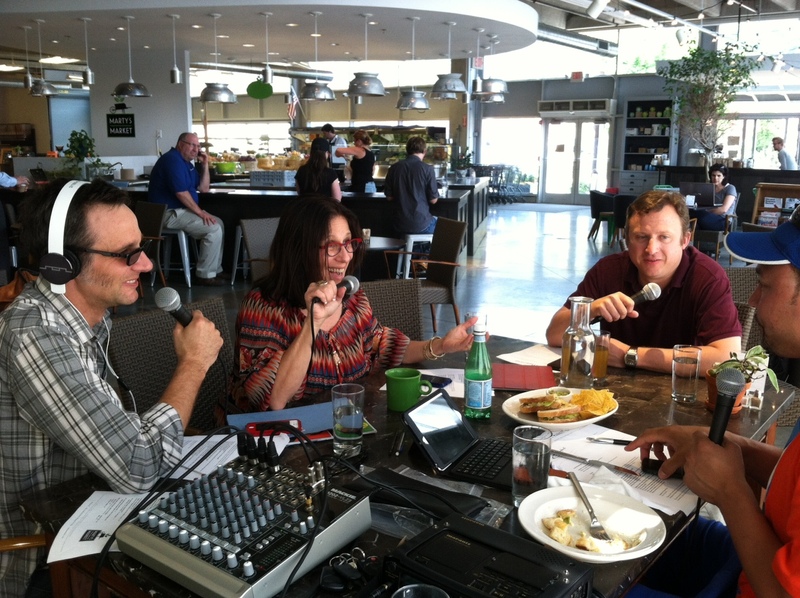 TechVibe radio was recorded on Tuesday, June 25 from Marty’s Market, located at 23rd and Smallman in the Strip District. Ben Schmitt of Concert-Oh spoke about new offering C-Meeting targeting enterprise environments during a special remote recording session. TechVibe reaches thousands of listeners across all of southwestern Pennsylvania as well as parts of the tri-state area. Hosted by the PTC’s CEO Audrey Russo and Director Visibility Initiatives Jonathan Kersting with cohost Charlie Batch, TechVibe brings you interviews and conversations from the Pittsburgh region’s fast-paced technology and entrepreneurial communities. Be sure to stream TechVibe Radio on wpgb.com or iHeart Radio! For more information on Chorus Call, please click here. If you would like more information on Concert-oh, please click here.